Just like the Solar System evolved, each planet had its own evolution. We discussed a huge disk of dust and gas that was spinning around the protosun billions of years ago. The planets of our solar system began as small orbiting pieces. Those pieces and chunks of future planets are called planetesimals. Slowly but surely those planetesimals began to clump together. They could have collided or they were big enough to have a gravitational influence on other pieces. Whatever the reason, they group. They begin to create larger pieces of rock. Those larger pieces are protoplanets. By the way, the prefix "Proto" means early, or before. As the planets developed, two types began to emerge. In our system, we have planets that are mainly rock and those that are mainly made of gases. The official names are terrestrial (rock-like) and Jovian (those with gases). Of the eight planets in our system, you will find Mercury, Venus, Earth, and Mars are the terrestrial planets. The Jovian planets include Jupiter, Saturn, Uranus, and Neptune. The Jovian planets are all much larger and have a lower total density when compared to terrestrial planets. In 2006, the International Astronomical Union (IAU) debated the status of Pluto, Charon, Ceres, and several other small round objects in the Solar System. While Pluto was once categorized a planet, they decided after review that it was not a true planet. In recent years, several objects that are about the size of Pluto have been discovered in the Kuiper Belt. With these new discoveries, astronomers have decided that these small round objects will be described as "dwarf planets." Astronomers may eventually discover hundreds of these bodies orbiting the Sun. Are there other types of planets? The truth is we don't know. We might find a liquid planet with an icy surface. 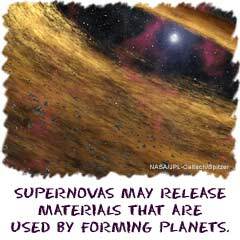 We also might discover a planet with a liquid surface and astronomers will be forced to make a new category. Right now, we are only detecting super-large planets similar to Jupiter and Saturn. The smaller rocky planets in other systems are still too small for us to see. Don't forget that we have barely seen Pluto with our most powerful telescopes. Seeing planets in other systems is even harder.